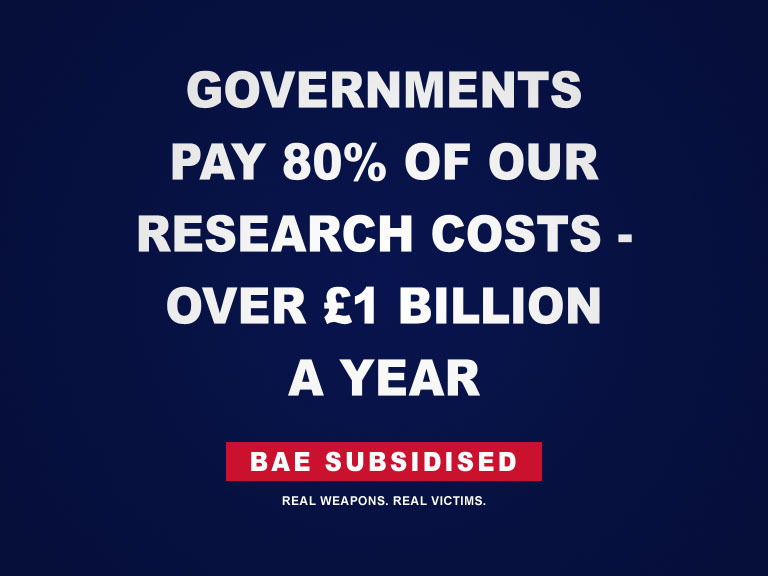 This site has been set up by Campaign Against Arms Trade to hold BAE to account at its annual AGM and beyond. CAAT works for the reduction and ultimate abolition of the international arms trade, together with progressive demilitarisation within arms-producing countries. promote policies to fully orientate the UK economy towards civil production. If you’d like to contribute a guest post, or have any questions or comments, you can contact us by emailing sarah[at]caat.org.uk.